What is SEO? There are many texts explaining the meaning of SEO and its benefits, but do we understand what it is truly capable of? As a layman, one can understand SEO as a means of increasing traffic to the website of your choice. Search Engine Optimization is a technique used by internet marketing experts to increase the per minute reach on any website. It is usually more beneficial for new, small businesses that are trying to establish themselves in the market and want to reach to the maximum population. 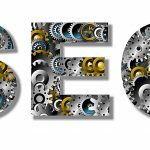 Hiring an SEO service provider can provide a huge boost to your business. There is an array of services provided by the SEO companies to tap the internet market. The SEO Service provider brings you Expert SEO Services. However, selecting from the best techniques, one must be always careful of the fact that not every technique will prove beneficial for your business. It may vary from business to business and the SEO service provider will present a list of different techniques to meet your business requirements. There are two basic types of SEO services and their colours decide the character of each service. The white hat SEO services employ techniques and strategies that are in-line with the search engine guidelines. It is a positive service which aims at improving traffic towards a website with the use of high-quality services. Some of the common white hat services include high-quality content development, research, website optimization etc. these strategies usually aim at a long-term benefit to the business. At first, the growth is slow but eventually business starts to benefit from the use of white hat SEO. Contrary to the white hat strategies are the blue hat SEO strategies. It particularly focuses on finding weaknesses in the algorithms of the search engine and then devising strategies around them. Some of the common black hat services include keyword stuffing, link spam, cloaking, hidden links and hidden text. The black hat services are short-term and unpredictable. These strategies are risky and may even lead to the banning of the website. One must be careful in utilizing these techniques as the consequences may be the loss of internet market reach. However, many of the SEO service providers operate in the gray area, which means they make use of both white and black hat strategies. These techniques have been named as the Gray Hat SEO. They are aimed at providing both long-term and short-term solutions to increase the website traffic. Companies may often choose to adopt the Gray Hat strategies due to pressure from clients and other reasons. Gray Hat strategies are affordable as they make use of reasonable techniques and do not resort to elaborate marketing campaigns. But, before making any judgments about any type from the catalogue of expert SEO services, you must know that no strategy is right or wrong. It all depends on the type of business and industry and the type of audience being targeted. Hiring the right SEO service requires proper research and insight into your business requirements and how the service provider handles your account. It is extremely important for the business owner to feel comfortable with the SEO provider so that their expectations are conveyed to the provider properly.